Tearing down this gem would not be good. This dude looks like a massive sleaze. Not good at all. That building is gorgeous and is 116 years old. I agree, Lion. One interesting thing though is that these buildings are separated from a full block lot by one roughly 15 story old building on the south side of 29th. If this schmuck razes that gorgeous old building on 5th, which is likely, he’s one building away from assembling an ENORMOUS site! This is awfully close to the Empire State Building. How enormous are we talking, Robert? 1,000 feet tall? I hope that he does not raze 260. 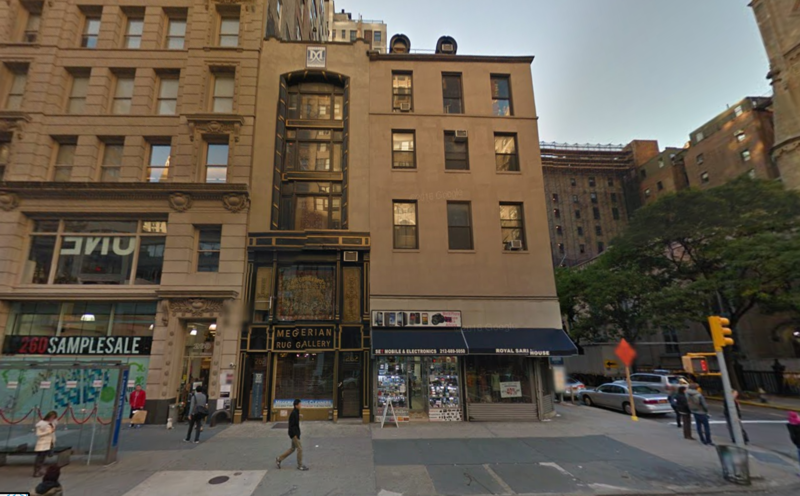 Billionaire Boris Kuzinez has filed plans for a 928-foot, 54-story condo building at 262 Fifth Avenue in Midtown South. Thx, Him by. I hope 260 is not razed. Wow! I wasn’t expecting such a tall tower! Wow, I’m pleasantly surprised about this height. 262 Fifth is a nice building tho. It would be sad to see it go. 260 is nice. I can live w/o 262 though it’s certainly decent. The electronics store is still there, and it’s the sole remaining tenant. That’s it. 262 is the little building on the corner which has the ornate, black entrance. 260, which the developer also owns, is the taller one with the sample sale ad. The present plans indicate that only 262 is coming down. I hope that’s the case. BTW, HFZ’s tower by Moishe Safdie, will rise next door (just behind the church shown in the photo). There’s also an enormous parking lot behind this which runs from 28th to 29th on which a huge tower will rise some day. I enjoy how in NYC you can have these beautiful grandiose buildings, and then there’s these tiny gems crouched between your average towers. I hope they keep that facade if they demolish this building. Taken today by me. I understand what @robertwalpole is saying, but if you look closely 260 has the top 4 floors as additions, they don’t seem to have been built when the entire building was built and plus there are those side windows which will be useless when a 900 foot tall tower is right in front on you. Also, I think the two buildings right from 260 would be a small foot print for a 900 foot tower but anything is possible. I’m John Boehner, and I approve this message!!! I deleted that. It is literally 100% made up BS. No tolerance, sorry.